Don't miss this chance to hear directly from the folks who will be front and centre in this year’s battle of the books. 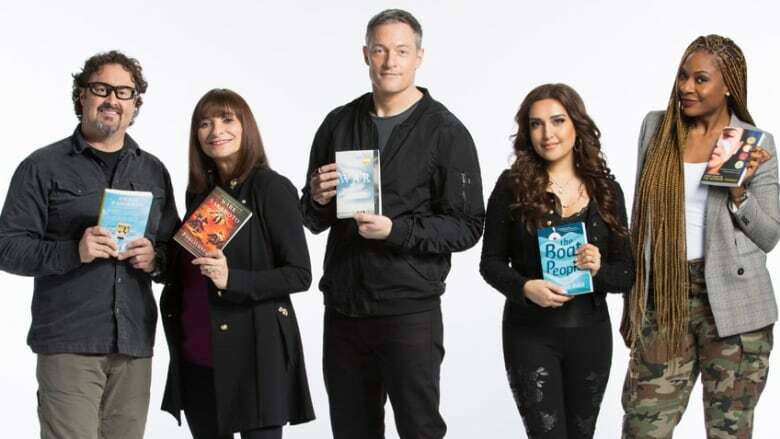 The Canada Reads defenders and authors took the stage in Toronto to discuss the five books that will be championed on CBC's battle of the books from March 26-29, 2018. Here and Now's Gill Deacon hosted the event in the Glenn Gould Studio. Each of the authors got a chance to share the stage with their defenders to discuss their books and start making the case to Canada that their book is one that will "open your eyes" — the 2018 theme of Canada Reads. Subsequent events featuring Canada Reads panellists and the authors whose books they're defending will take place in communities across the country, so be sure to stay tuned to CBC Books for details. Each year, Canada Reads features five high profile Canadians defending five great Canadian books. Recent winners include YouTube star Humble The Poet defending Fifteen Dogs by André Alexis, Olympian Clara Hughes defending Lawrence Hill's The Illegal and TIFF artistic director Cameron Bailey defending Ru by Kim Thúy.